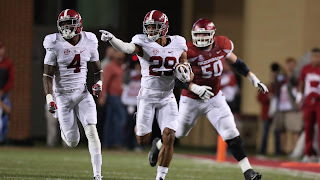 Minkah Fitzpatrick Ready to Launch! The Old Bridge, New Jersey native has come along way from his humble beginnings fixing cars with his father in the dead of winter to earning his way to Alabama and now being thrust into the Miami Dolphins defense with a bevy of high expectations less the pomp and circumstance. Since entering the doors at the Miami Dolphins practice facility in Davie, FL- his résumé has continued to evolve as an NFL player and as a student of the game. 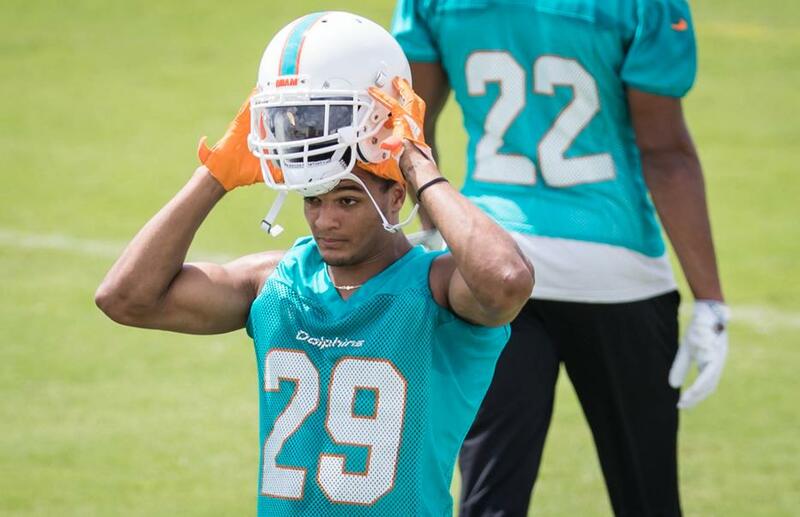 The reviews of Dolphins’ jack of all trades and ultra-talented first-round pick-Minkah Fitzpatrick have been nothing but glowing and 100 percent positive. The Dolphins, however, have a big problem. This is a rookie and he’s emerging as the leader of the defense and quite possibly the team. There is no mentoring for Fitzpatrick, he’s already had his journey as a youngster at St. Peter’s Prep, a Jesuit School where he was formed by teachers and coaches, leaders who instilled him the competence, conscience, and compassion. Fitzpatrick will set the NFL on fire because of his strong work ethic formed by humility and having to overcome adversity being displaced by Hurricane Sandy in his early teen years which only made him stronger and more prolific in the classroom and on the football field. He’s raising the bar as the leader the coaches want to see. He’s not a free-lancer because he models his game after the best of the best-he refuses to take plays off. Fitzpatrick is in the meeting room and in the huddle has already adapted to the NFL football lifestyle often staying at the facility with his eyes watching film and his mind internalizing the entire playbook. Fitzpatrick is a leader and he’s assuming the role and becoming the face of the franchise. It’s becoming apparent that Adam Gase who isn’t known to comment on his rookies as frequently has echoed nothing but positive compliments. I bet you if we asked Minkah today, he could tell you what the Dolphins offensive tendencies because that’s his job and by August-he’ll have enough knowledge on the Patriots, Jets, and the Bills. The Dolphins have a player that they would have never drafted in the past-he’s a player packaged in the Patriot Way blue print because he does “his job”, but he’s playing in Miami- which is a very good thing for the Dolphins. When you hear of the draft night controversy that largely surrounded this pick for the Dolphins, you’ve heard of Owner Stephen Ross’ preference for another player-maybe Josh Rosen, a quarterback. With Rosen long gone to Arizona after a trade with the Raiders, the Dolphins took the best player on the board even though they didn’t need a safety with TJ McDonald and Reshad Jones, but Jones can only play this game for so long. Fitzpatrick comes with a pedigree that is stronger than most Dolphins players playing for one of the winningest college football coaches-Nick Saban or Nick “Satan” in South Florida and the winningest program of recent time (although The Ohio State Fans would disagree). What Fitzpatrick means to the Dolphins is this-a do-over for all the crappy and ill-suited picks of the past. I could get into how in the past Armando Salguero of the Miami Herald-suggested Brandon Graham and Earl Thomas-but Fitzpatrick makes up for that previous stupidity. Fitzpatrick brings energy and a methodical approach to his craft. Like the hard work instilled in Minkah by fixing cars with his father in New Jersey, that hard work and determination has translated onto the football field. I’ll say this, and all say this once, but more so as the season unfolds- a star will shine in Miami-and his name is Minkah Fitzpatrick-strong to his roots and pure to the core on the field. Stats and information provided by University of Alabama Athletics. Previous articleSanta Cruz vs. Mares 2: Can Abner Change the Narrative?